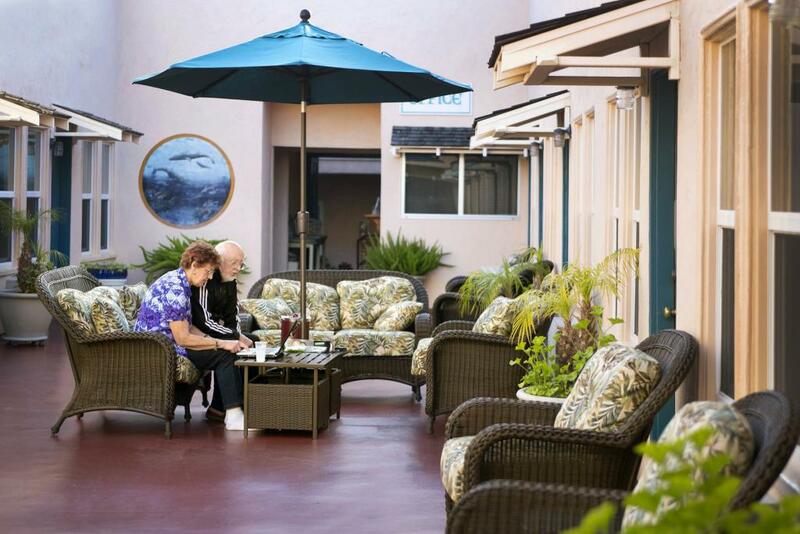 Our Courtyard Queen rooms offer comfortable modest accommodations for up to 2 people. Enjoy a convenient complimentary continental breakfast in the courtyard or use our beach towels to lounge on the beach right in front of our hotel. 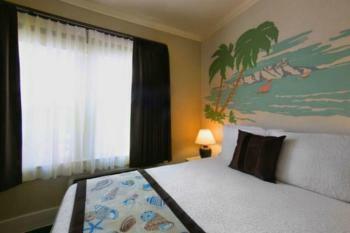 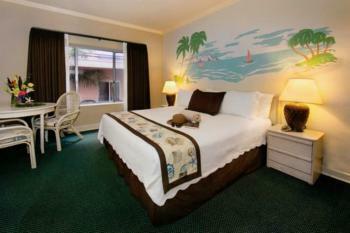 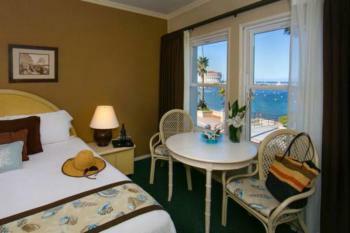 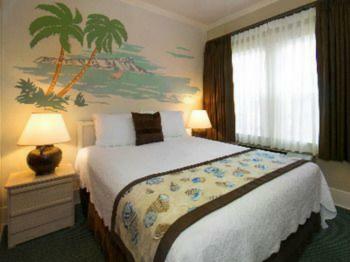 These rooms also offer a flat screen cable TV/HBO, air conditioning, free Wifi, tile showers and hairdryers. 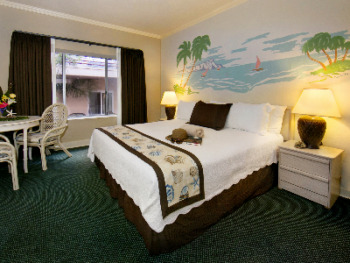 This modest room offers an open-air courtyard location, 1 double/full bed, a flat screen with cable TV/HBO, air conditioning, free Wifi, a tile shower, hairdryer, complimentary continental breakfast and beach towels. The maximum occupancy for this room is 2 people. 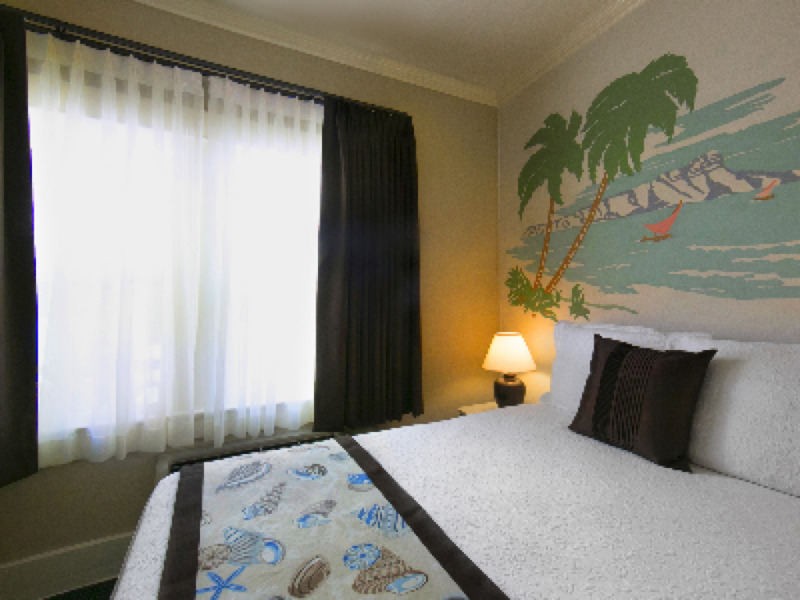 Our Double Double rooms accommodate up to 4 people maxium and are conveniently located in our beautiful open-air courtyard. 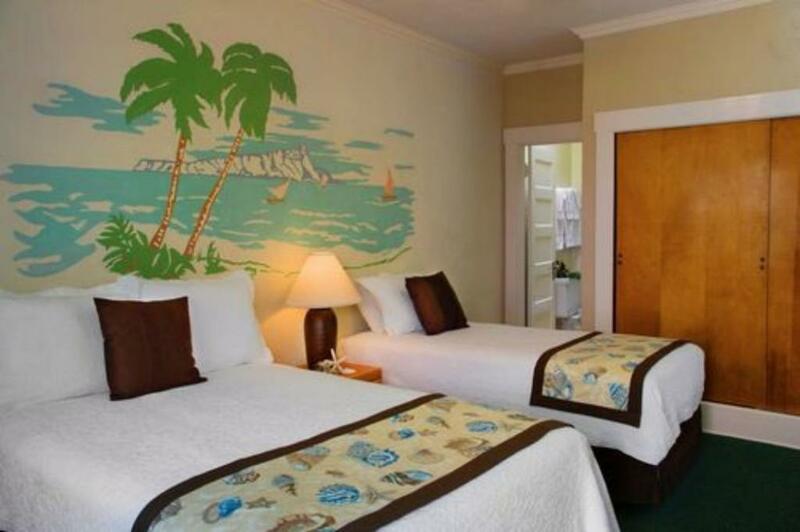 In addition to a complimentary continental breakfast and complimentary beach towels, these rooms offer 2 double/full sized beds, a flat screen cable TV/HBO, air conditioning, free Wifi, a tile shower, and hairdryer. 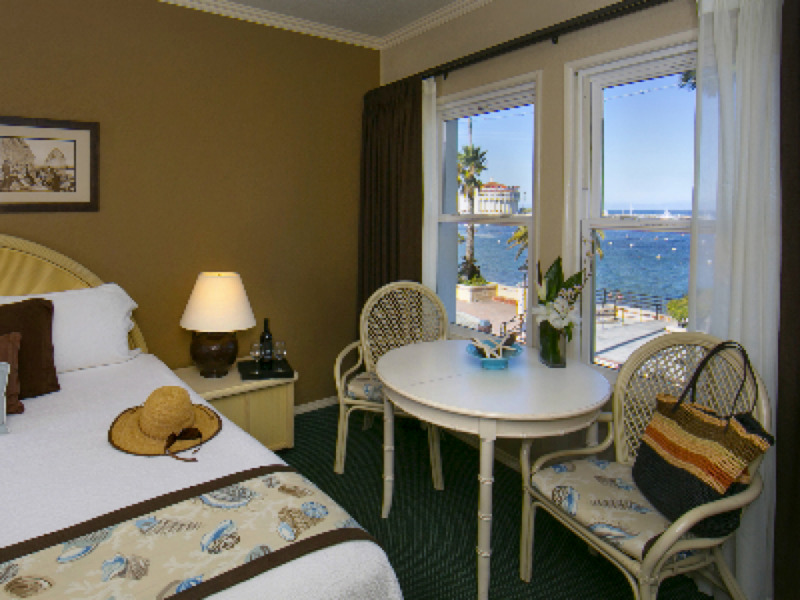 Situated with 1 double/full bed and 1 twin bed, our Double Twin rooms face our comfortable open-air courtyard and offer a flat screen cable TV/HBO, air conditioning, free Wifi, tile showers, hairdryer, complimentary continental breakfast and beach towels. 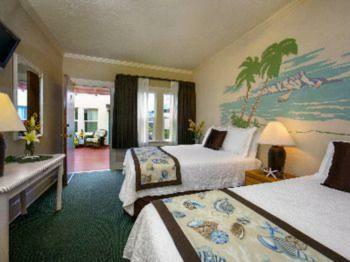 These rooms may accommodate up to 3 people maximum. 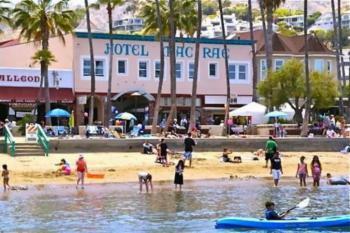 Best Prices on the Beach! 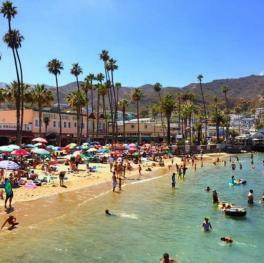 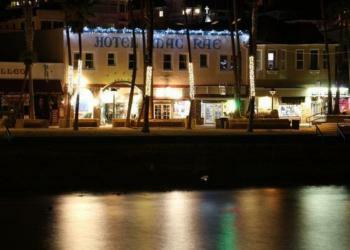 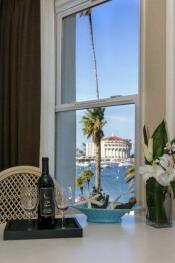 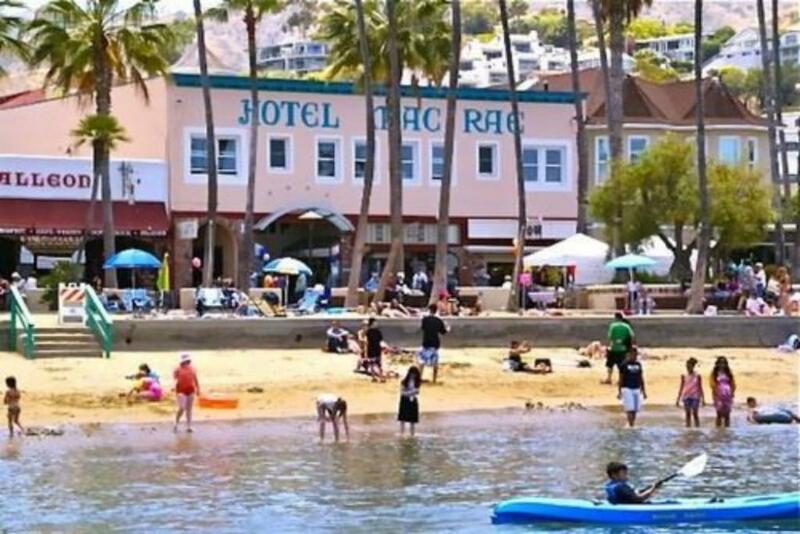 The Hotel Mac Rae offers our guests well priced accommodations right on the beach in the very center of Avalon. 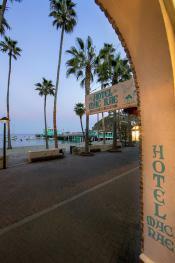 Our name is on the building and it is our goal to make you comfortable while you enjoy the best that Catalina has to offer. You can decide to be as calm and relaxed or as active and adventurous as you choose to be. 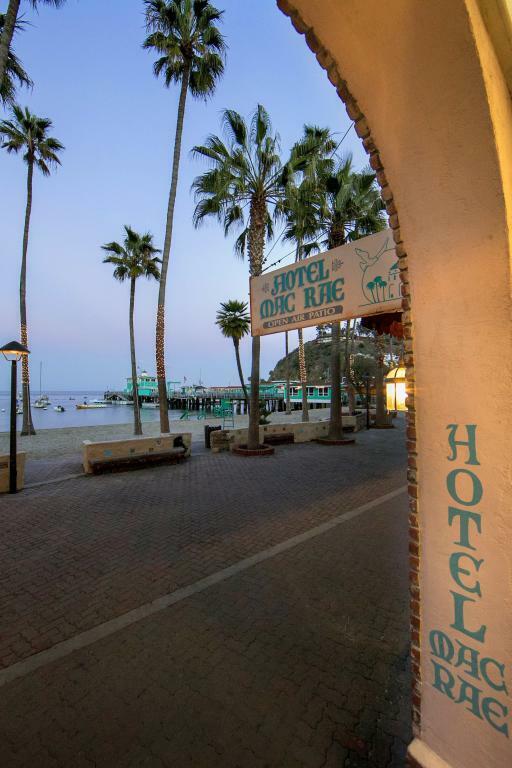 Catalina offers Enjoy your complimentary continental breakfast in our open-air courtyard before walking downstairs to cross the boardwalk to the sand of the calm clear Avalon beach. We also provide complimentary beach towels, luggage storage, and after check-out shower facilities to freshen up after a day on the beach before heading home. When booking your reservation, choose our Beachfront Relaxation Package and allow us to arrange your roundtrip boat reservations for you. 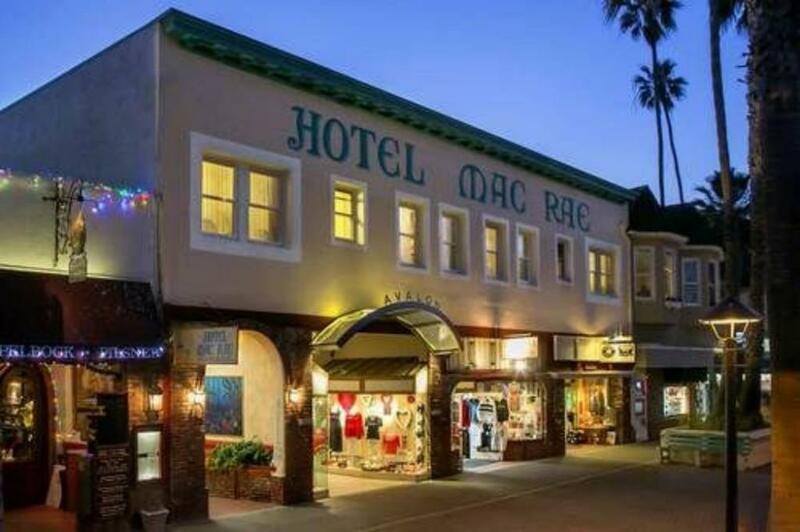 The Mac Rae Family looks forward to having your as our guests! Please be advised that all guest rooms are located on the second and third floors and we do not have an elevator. 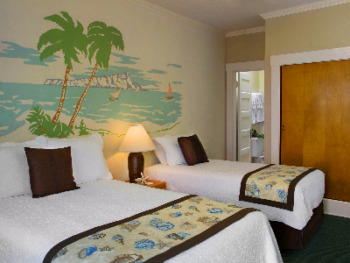 The guest rooms in our hotel are all located on the second and third floors and we do not have an elevator. Unfortunately, ADA compliant guest rooms are not readily achievable. 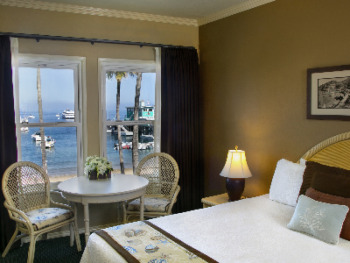 Book a Beachfront Relaxation Package with our hotel and allow us to arrange your roundtrip boat transportation from Dana Point, Newport Beach, Long Beach or San Pedro. 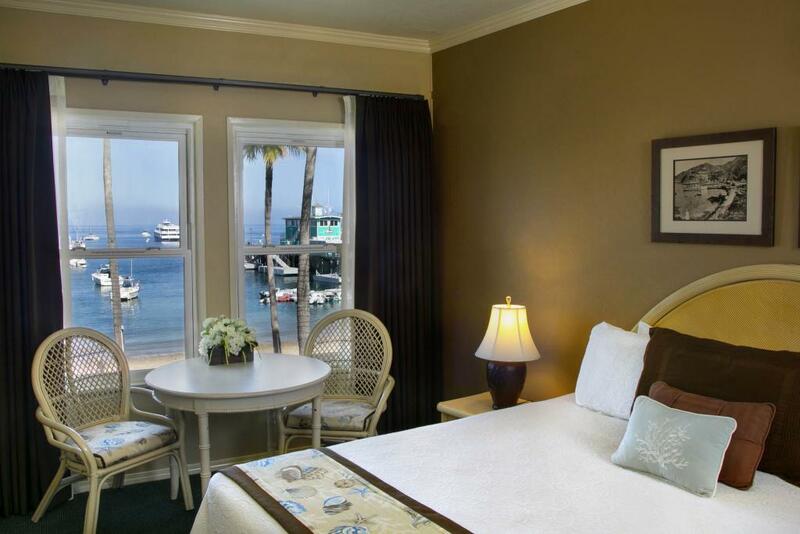 Once you arrive at the island, the hotel is just a few minute walk along the water. The Hotel Mac Rae is located in the center of town, on the beach near the base of the green Pleasure Pier.